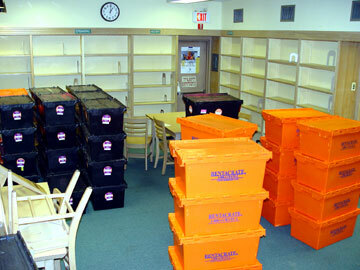 Library employee Judy Mascis packing boxes. 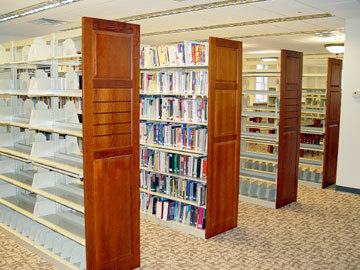 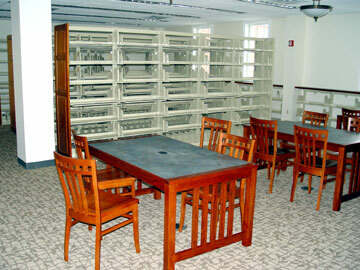 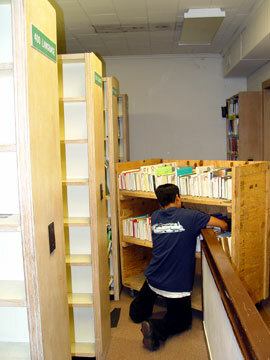 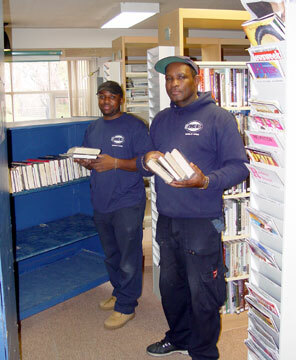 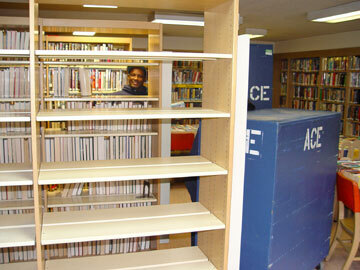 Books are loaded carefully by the movers as to maintain book sequence. 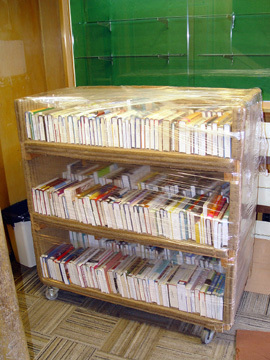 Loaded book carriers are sealed with shrink wrap. 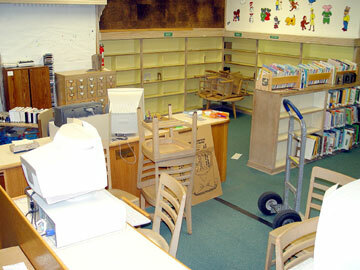 The childrens section of the library looks empty. 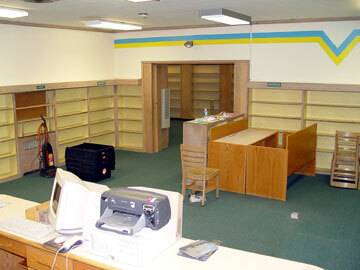 ... and into the new. 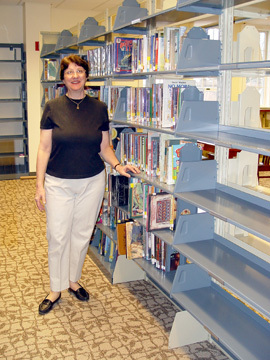 Children's Librarian Rosalie Nickles confirming book sequence. 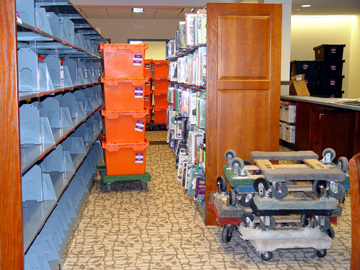 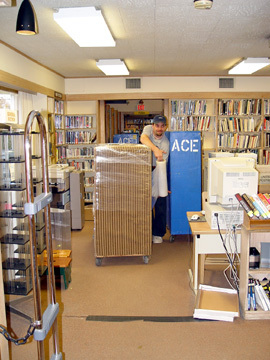 Once unloaded, the moving equipment is ready to go back to the old library for a refill. 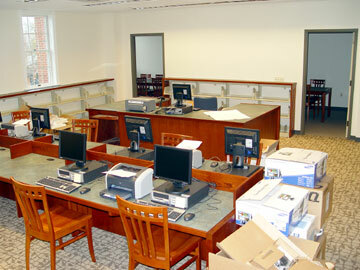 Setting up the computer area.